As usual, Amy has the goods on the Holy Father's Saturday visit to Loretto. Regretfully, I will not be able to watch much of the visit. Tomorrow promises to be a full day, what with a soccer match an hour away in Greeville, a wedding back in Effingham at 2:00 p.m., and the Saturday evening Mass at 5:30 p.m.
Blogging will naturally be light throughout the weekend. This evening the Olney Tigers defeated the St. Anthony Bulldogs 2-1 in their soccer match at Bulldog field. We'll do better Saturday, Bulldogs! With the cooler temperatures and playing the junior varsity game into the evening, I have come to the conclusion that we need to light our field so we can play night games. Then we could sell hot dogs, brats, and burgers and make a very pleasant and enjoyable evening for everyone. On a better note, the Bulldog volleyball team won their two games against Edwardsville County, though I can't remember the scores. Congratulations, girls! 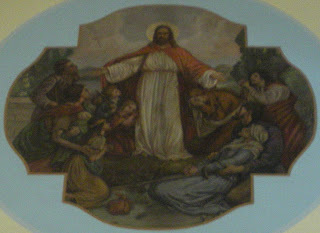 These are the murals from St. John the Baptist. I'm sorry the quality of the pictures isn't better. The Most Reverend Larry Silva is launching a catechetical series on the Liturgy in his Diocese. I should mention that the bishops of the English-speaking world are currently working on an updated English translation of the prayers and responses of the Mass. None of these is ready for implementation, but by the time we finish this planned catechesis, the translation should be ready. By then we will be accustomed to learning about the liturgy, so instructions on the new translations should flow nicely from our present endeavors. Referring to himself as the "Pastor and Chief Liturgist," Bishop Silva reminds his faithful about the importance of the Liturgy. The liturgy is a living encounter in which we worship the Father, through his Son Jesus, our risen Lord, in the Holy Spirit. It is the source and summit of our entire Christian life. It should therefore be celebrated well and according to the rites given to us by the universal community of the Church to which we belong. The rubrics, gestures, postures and words are extremely important. But what is most important is the attitude with which we approach the liturgy. We are God’s creatures, not creators. The structure is given to us to help us encounter the deeper spiritual reality of God-with-us. We can “perform” the liturgy flawlessly, following all the directives beautifully, and still have a very dead liturgy, if we do not remember that the liturgy is primarily prayer. While it has elements of drama that engage us and our deepest emotions, it is never simply a performance. We must put our hearts and souls into the celebration of the liturgy. Most of all, we must open our hearts to the incredible power of the Holy Spirit that works on us and in us in the liturgy. While it is important that we better understand the reasons behind what we do, it is more important that we avoid the temptation to become “liturgical police,” criticizing anyone and anything that does not conform to the rules. Sometimes the temptation is only played out in the silence of our hearts as we privately criticize the unfolding of the liturgy rather than enter into the worship with praise and thanksgiving. It is true that we are in the process of critiquing our liturgies for the sake of improving them, but Satan can easily lead us to turn legitimate critique into resentment toward our brothers and sisters, thus undermining the real purpose of liturgy. Let's keep this effort in our prayers, and hope that more Diocese follow suit. Having been proclaimed the assistant soccer coach by our athletic director twenty-two days ago, and having actually accepted the position twenty-one days ago, I cannot help but wonder if this appointment is not one that has been guided by the hand of Providence. Now, you might think this odd, but the more I ponder it, the more convinced I am that God has willed my being the assistant soccer coach not for the good of the players, but for my good. What do I mean? Being with the soccer players for nearly two hours every weekday has brought me great joy, though you might not always be able to tell as I bake under the sun in the heat that is so excessive that I cannot even put the seeds I am trying to grow that I brought back from Hawaii outside. The soccer team is comprised of many very enjoyable young men who are very fun-loving and easy going. Though I know this isn’t the case, they seem to have no care in the world save winning their games (or getting out of practice). They remind me very much of what I was like in high school and the many fun and goofy times my friends and I had (I’ll be seeing one of my high school friends on Monday to finalize the preparations for her October wedding). Two weeks after I accepted the position – and one week ago today – I received the devastating news that my home was being destroyed. In the past week I have noticed my thoughts focusing on three primary areas: the classes I teach (both in the high school and in the parish), the homilies I preach, and what has happened to my home. Quite naturally, whenever I think about the happenings in Quincy I grow disheartened and grief sets in. And then I head off for soccer practice or a game and my feelings and emotions are elevated. It is almost as though God has asked me to be the assistant soccer coach to keep my thoughts from revolving entirely on my home church. As my previous post indicates, this does not mean that the pain is removed, but it is alleviated. The hand of Divine Providence has given me joy to balance my affliction, and for this I am grateful. Today on this the Memorial of the martyrdom of the illustrious Saint John the Baptist, my heart aches as I think back on the beauty of my home parish church that has been so inconsiderately dismantled. Like so many others, I feel betrayed and experience, in some way, the agony of the disciples of John at his death. However, one key difference remains: the disciples were able to take John’s body and I am not able to recover the body of the church. The more I think about what has happened, the more my heart aches within me as I know that my home is being destroyed. What hope I once had that the church would one day be returned to the worship of the Most High has now been dashed upon the rocks. My fear is that the building will fall prey to vandals and the gorgeous windows that inspired the faith in so many people will be dotted with holes caused by rocks. I fear that the bushes and grass will be overgrown and the beauty of the façade will be marred through lack of loving care and concern. I fear that the roof will collapse in parts and the rain and the wind will weather the interior and fade and wash away the artwork that remains. The St. Anthony Bulldogs defeated the Vandalia Vandals in their soccer match this afternoon 1-0. Congratulations, boys! Nowadays, preachers and congregations are so shallow that if a sermon is not full of polished and studied phrases [read "cliches"], and a dash of novelty [read "I'm OK, you're OK"], they are too critical to take any notice of it. The very delicious and ever elusive lattice fry has its origins in Quincy. Growing up in Quincy I always knew that Sprouts had the best lattice fries; now I know why. Some of you have asked for the comments regarding, particularly, this past Sunday's homily. Only two have thus far come to me, both negative, one from someone who heard the homily and one from someone who has a lot of connections in town and is hearing quite a bit. The gist of the comments, as I understand them since only two people actually came to me, can be boiled down to this: they are tired of the "doom and gloom," and that I keep preaching about things that have been the way they are "for generations." Now, I don't exactly recall preaching doom and gloom, so I went back to look through the homilies that have I preached the past few weeks. Three weeks ago was the homily I preached against underage drinking, especially against parents giving their underage children alcohol, resulting from a party being held for our outgoing college freshmen at the home of a set of parents. The Gospel happened to be the one about the thief breaking into the house. I remember saying that the thief, in this case, hadn't broken into the house, but was welcomed in through the front door to steal the purity of the youth! 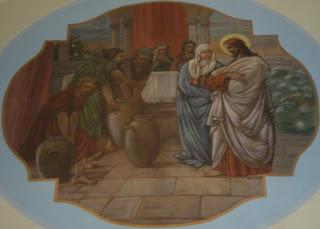 I made the connection with the baptism of their children, when parents are instructed: "See that the divine live which God gives him (her) is kept safe from the poison of sin, to grow always stronger in his (her) heart. If your faith makes you ready to accept this responsibility, renew now the vows of your own baptism" (Rite of Baptism, 93). I also said that the parents in this case simply handed their children the cup of the poison of sin and said, "Here, drink up. At least you're safe in my house." Two weeks ago, using the Gospel where Jesus says, "Do you think that I have come to establish peace on the earth? No, I tell you, but rather division," as my springboard, I reminded the parishioners of who Jesus truly is. I also reminded them that nothing must come before Christ Jesus, not even our families. This past Sunday, of course, I reminded the people that nobody should be receiving Holy Communion unless they have come spiritually prepared, again using the Gospel as my springboard. Now, if these three topics are filled with "doom and gloom" it must be said that the Gospels themselves are nothing but doom and gloom! It must be remembered that, as Chris Padgett likes to say, Jesus doesn't call us to a life of mediocrity. He requires that we make a decision either for or against him, and for this reason he says: "I wish you were either cold or hot. So, because you are lukewarm, neither hot nor cold, I will spit you out of my mouth" (Revelation 3:15-16). I would suggest that Jesus will treat those who have rejected him more favorably than those who remained apathetic toward him. If I preach the gospel, this is no reason for me to boast, for an obligation has been imposed on me, and woe to me if I do not preach it! If I do so willingly, I have a recompense, but if unwillingly, then I have been entrusted with a stewardship. What then is my recompense? That, when I preach, I offer the gospel free of charge so as not to make full use of my right in the gospel (I Corinthians 9:16-18). I refuse to water down the Gospel, because it is not mine to change or alter. I must proclaim the Gospel and I must do so in its entirety, which will sometimes mean that people will not like what they hear. What I have preached should not disturb one who is faithful and who is doing what must be done by all who follow Christ. These faithful ones should be encouraged by what I say by recognizing that they are on the right path. Those who are not living faithful lives will hear what I preach as offensive because they know it to be the truth. One of the people that contacted me said this: "The kids love you. You talk to any kid, and they think you are a great guy!" By kids, he meant high school students, and I would suggest without hesitation that they love me precisely because I am not afraid to speak the truth. I will not back down; I will not water it down. Simply consider one of the outgoing college freshmen's comments to me after my homily against the party: "That was awesome, Father!" even as several of the adults criticized me for it. This afternoon at soccer practice one of the players and I got into a discussion about faith - as we often do - and asked, hypothetically, if he could become, say, a Baptist. I reminded him that if he did, because he knows the truth of the Catholic Church (he really does), his soul would be in grave jeopardy because by doing so he would reject Christ and his Church. His response was fantastic and left the team captain doubled over on his knees in laughter: "Father, if I never met you I probably wouldn't be going to Hell." Now, by this he didn't mean that he truly believes he is going to Hell, nor did he mean that I am leading him astray. He is a faithful young man who wants very much to do what is right and to be faithful to Christ, but there is some truth in what he says. He is right because I don't shy away from opportunities to speak the truth, and in so doing I very often answer questions the kids have but haven't yet asked and so give them information that they hadn't yet had. Some of the adults are apparently considering not coming back to Church if all I do is "preach at them." I simply speak the Gospel. When the Gospels turn to more "uplifting" themes, so will my homilies. Our local chapter of the Dead Theologians Society met again this evening after a summer hiatus. It was a small gathering this evening, but not much notice was given. Whenever I gather with the youth I am very encouraged. In a day when so many adults seem so apathetic towards the faith, the youth are ready to dive in (not all of them, of course, but many). It reminds me of what Pope Benedict has said: The Church is alive and the Church is young! Listening to the members of the Society I am greatly encouraged by their many ideas for activities for the future and for topics to discuss at our future meetings. Topics thrown about this evening ranged everywhere from apologetics helps to meditation to the Apostles to the martyrs to Protestantism and everywhere in between. They want to discuss not only all of these, but they want sessions for questions and answers. They want a retreat to mark the first anniversary of the Society, a pizza making day, movie nights, etc., etc. etc. I sometimes wonder if I haven’t given the group enough ownership of our activities and if that isn’t part of the reason we aren’t along quite as well as I should like (I can’t do everything, after all), and so this evening I began moving in that direction, giving them various positions to hold to help plan and organize our doings. I am very excited about where this group will go and for the vision that they have collectively, even if they aren’t quite yet aware of it. The Spirit is certainly moving within them. May I accept the grace to shepherd them and meet them where they are. As I turned the page in my calendar to look at the schedule for the coming week - which doesn't look too bad - I see that I am to be in Shumway Monday evening at 7:00 p.m., but I haven't the foggiest idea why. Does anybody out there know what I might have to do Monday evening at 7:00 in Shumway? I can't for the life of me figure out what it is, and neither can my pastor. Whatever it is, I have two hours blocked out for it. Perhaps I'm not to be at Shumway tomorrow night, but if I'm not supposed to be there, am I supposed to be somewhere else? I'm sure there's a patron saint for this sort of situation... Help!!! Over at Adam's Ale there is a good post about names and giving names. For the curious, Daren seems to come from the Persian Darius, meaning "great one." My middle name, Joseph, means something like "increase of faith." As I was baptized and confirmed on the day of my birth, I do not have a confirmation name. My last name seems to come from Swabia and means "a small tenth," like a tithe. One of the precepts of the Catholic Church, one of the basic requirements to be a faithful Catholic, is to attend the Holy Sacrifice of the Mass every Sunday and holyday, though, undoubtedly, not all of us attended Mass on August 15th. This we all know and, having come to the Mass, most of us receive the Precious Body and Blood of the Lord at least once a week, but are we really aware of who it is that we eat? Therefore whoever eats the bread or drinks the cup unworthily will have to answer for the body and blood of the Lord. A person should examine himself, and so eat the bread and drink the cup. For anyone who eats and drinks without discerning the body, eats and drinks judgment on himself” (I Corinthians 11:27-29). 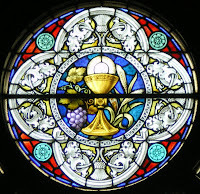 How, then, do we prepare to receive the Eucharist? First and foremost, we should come to the Mass with sufficient time to prepare our hearts and minds to welcome him, to spend in prayer before the Mass begins. We might well read the sacred readings before Mass begins to hear them more attentively when they are proclaimed and expounded upon. 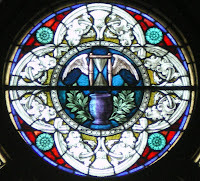 We should visit the Lord in the sacrament of Penance on a regular basis to be strengthened by his grace as we struggle against venial sin, and we should seek out a priest immediately when we are conscious of mortal sin and beg him to hear our confession. Anyone who comes to the Mass conscious of a mortal sin that has not been confessed in kind and in number must not receive the Holy Eucharist, else they eat and drink judgment. Anyone who comes to the Mass as the procession begins – or, worse, after it has begun – ought not to receive the Holy Eucharist, because they have not come prepared. They have come to eat his Body and drink his Blood, but they have not come worthily. Do you not recognize who it is that you will receive? Where is your love for his Body and Blood? Anyone who truly loves the Lord Jesus Christ and seeks to follow him will come to the Mass ready to receive him and open to his grace, mercy and love. Whenever we come to Mass unprepared to receive the Lord, to commune with him, we are his hidden enemies. We become those to whom the Lord will say, “I do not know where you are from” (Luke 13:25). In reply, we will say to him, “We ate and drank in your company and you taught in our streets” and he will answer us, “I do not know where you are from. Depart from me, all you evildoers” (Luke 13:26-27)! When we come to him unprepared we do not come in love and in this way we become his enemies who will be tossed out where “there will be wailing and grinding of teeth” (Luke 13:28). [do] not value [our] food very highly, and yet it was with reference to it that [we] said [we] belonged to Christ. Christ is the food that is eaten and drunk. 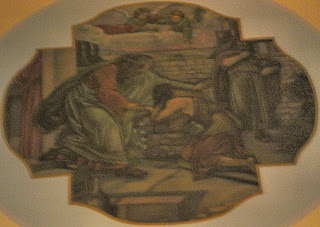 Even Christ’s enemies eat and drink him. The faithful know the lamb without spot on which they feed, if only they fed on it in such a way that they are not liable to punishment! These words should not lead us to despair of God’s mercy, but should inspire us to seek it all the more! It is true that from time to time we are delayed in arriving at Mass early for legitimate reasons and for reasons out of our control and unforeseen, yet these surely do not occur every week, do they? No, of course not! If we are in the habit of arriving at Mass just in the nick of time, we must change our ways and demonstrate our love for the Lord and our desire to be in communion with him by preparing our hearts in a worthy manner. How many of us, if we were to meet the president of the United States, would arrive with only moments to spare? Surely none of us would do so, and yet we somehow convince ourselves that it is okay to do so when the King of kings and the Lord of lords wishes to see us? This is ludicrous! Even so, “strengthen your drooping hands and your weak knees. Make straight paths for your feet, that what is lame may not be disjointed but healed” (Hebrews 12:12-13). The Lord wants us to approach him worthily that we might be known by him and that he might be known by us, and for this reason the Lord says, “Some of these [men] I will take as priests” (Isaiah 66:21). He gives us his peace so that we might be healed and strengthened by his grace. We must now ask the question: What is a priest? The priest is the one through whom the “mission entrusted by Christ to his apostles continues to be exercised in the Church until the end of time.” The priest is the one who does what the Lord tells him, this is why the priest is the one whom the Lord takes as his own. 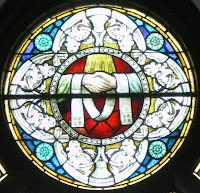 The priest is “set aside” for sacred service; he is given wholly to the Lord. We know that “no one can give himself the mandate and the mission to proclaim the Gospel.” He must be chosen and called by Christ, and he must respond generously, joyfully and lovingly. Indeed, “no one takes this honor upon himself but only when called by God, just as Aaron was” (Hebrews 5:4). The priests of Jesus Christ are “truly ‘slaves of Christ’ (cf. Romans 1.1), in the image of him who freely took the ‘form of a slave’ for us (Philippians 2:7). 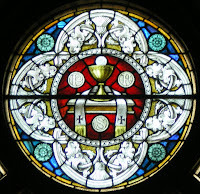 Because the word and grace of which they are ministers are not their own, but are given to them by Christ for the sake of others, they must become the slaves of all.” Priests become the slaves of all through the sacraments they administer and the doctrine that they teach. The primary mission, then, of the priest is to make present for all people in every age and place the sacrifice of Christ on the Cross in the Eucharistic celebration and to forgive sins in the name of Christ and of his Church. The Lord takes men to himself as priests to carry out his mission, so that his salvation may reach to the ends of the earth. Let each of us, then, seek out his priests to receive the grace the Lord wishes to give us through them. Let us pray for our priests, that they may be faithful servants of Christ and true imitators of him. Let us pray for our young men, that they hear the call of the Lord and respond generously to him, offering to him their lives and their love in service to God and men. Through the service of his priests, we will each come to know the Lord, we will recognize him on whom we feed, and we will be known by him and welcomed into his heavenly kingdom where we will feast at the wedding banquet of the Lamb forever. Amen. Saint Augustine of Hippo, Sermon 308A.6, in Arthur A. Just, Jr., ed., Ancient Christian Commentary on the Scripture: New Testament III: Luke (Downers Grove, Illinois: InterVarsity Press, 2003), 230. Catechism of the Catholic Church, 1536. Update: St. Anthony tied St. Thomas More 2-2, in a game well played by both teams. St. Anthony did not advance to the championship game today, but will another time I am sure. Update: Mt. Carmel beat St. Anthony 1-0. St. Anthony played well, with Mt. Carmel scoring with a free kick resulting from an accidental handball in the goal box. We'll be sure to watch for that this afternoon. After two weeks of practice, the St. Anthony soccer team begins is season tomorrow with the 2007 St. Anthony Soccer Tournament. The team will first play against Mt. Carmel high school at 10:20 a.m. In the afternoon, they will play against St. Thomas More high school at 2:20 p.m.
Six teams in all will compete for the tournament trophy with the championship game to be played at 4:00 p.m.
All of the games will be played at Bulldog Field at St. Anthony high school. 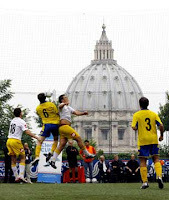 It will be a long day for me, what with the early morning Mass, two or three games, a funeral in the early afternoon, confessions and the evening Mass, but I am very much looking forward to it. Please pray that all involved in the tournament play well and in so doing give God glory, praise and honor. The Quincy Herald-Whig has an article on the sale and removal of the altars and statues at my home church of St. John the Baptist. Statues, altars, communion rails and other marble items have been removed from St. John the Baptist Church in Quincy and will be on their way to Minnesota today, leaving dust and plaster scattered on the floor of the 127-year-old building. Other items, such as stained glass windows and church pews, are also for sale in the church at 10th and Cedar that celebrated its last Mass on June 26. Monsignor Mike Kuse, pastor of Blessed Sacrament Parish, did not say how much the items were being sold for, but admitted little profit is being made in the sale of the items. The goal, he said, is to put the items in other places of worship. "It's not like you're making money on this stuff," he said. "The value is more in the hearts of people. QUINCY, IL -- It's been a Quincy landmark for more than a century....and a church many Catholics hold dear to their hearts. We received several phone calls this week from people up in arms about what's happening to St. John the Baptist Church of All Saints parish. That church along with St. Mary's and St. Boniface merged to form what's now known as Blessed Sacrament. Earlier this week, parishoners noticed a work crew carrying out precious artifacts from the building at 10th and Cedar. Then word spread that the building was being gutted and torn down. Now, there's a lot of uncertainty circulating about what's happening to St. John's.....and anger among those who grew up in that church. Just a few minutes ago the Director of Media Relations told me the AP still would not edit or retract the very incorrect and inaccurate article that I have been discussing with the AP. Next stop on the ladder: the International Editor, who happens to be on vacation. A replica of Christopher Columbus' vessel the Nina will be docked outside the Pier restaurant in Quincy August 29th through September 3rd. Construction equipment surrounds St. John's church this week. The statues, altars, and communion railing are being removed. I think the marble floor and pulpit are going also. The Crossing [a nondenominational "church" geared toward entertainment] boasts that over 65% of their members are people who recently left the Catholic Church. If that is 500 people, my guess would be that one left because of the clergy scandal and 499 left because the diocese chose to close the people's church buildings and remove the art from parishes that thrived for 170 years. If our enemies had done this, it would have been easier to bear. Part of me wants to drive home right now and the other part knows that I could never bear to watch... Even from four hours away my heart aches and my tears water... My home is gone. Today I found myself pondering the same thing throughout the course of the day. After resuming my teaching duties at the high school Monday, I have been wondering if the very characteristics I possess that have the makings for a very good teacher might not be the same makings for a very poor teacher. At any rate, I am very excited about the school year and classes on Monday went very well, if I do say so myself (and I do). However, after falling behind already on day one, I was left with this observation: I am both overly ambitious in planning tasks and easily sidetracked/distracted/tangented (if I can be permitted to create a word). Being overly ambitious in the classroom can be a blessing because it gives a certain direction and impetus to planning and teaching, yet at the same time it gives the risky proposition that more can be accomplished in the classroom than is feasibly possible for the students to grasp. It is good, I think, for me to be aware of these two tendencies and to seek ways to keep them in a healthy balance each day that I teach. 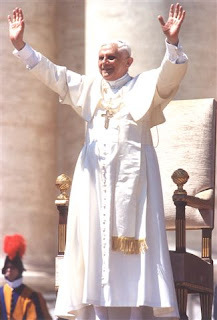 In an interview granted to Kath.net, Monsignor Georg Ratzinger, brother of the Holy Father, shared some of his thoughts on his brother's Pontificate. A person who is active in God's kingdom has to expect resistance, just like our Lord, who also encountered enemies time and again. It can't all be hunky dory (literally, "peace, joy and pancakes"). That's a great line to use in the future. You can read the rest of the interview here. "You wish then to hear from me why and how God ought to be loved. I answer: the cause of loving God is God himself. The way to love him is without measure. Is this not enough? ... For two reasons, then, I say that God is to be loved for his own sake. No one can be more justly loved, or with greater benefit. Indeed, when it is asked why God ought to be loved, the question has two possible meanings. We may wonder which is the real question: whether God is to be loved because he deserves it, or because it is for our good. I give the same answer to both: There seems to me no good reason to love him which does not lie in himself" (On Loving God I.1.). "And we should greatly fear that ignorance which makes us think less of ourselves than we should. But no less, indeed rather more, should we fear that ignorance which makes us think ourselves better than we are. This is what happens when we are deceived into thinking that some good in us originates with ourselves" (On Loving God II.4). "The spirit of man, which has its place between the highest and the lowest, has an obvious need for a body, for two reasons. Without it the soul cannot act for its own benefit, or do good to others" (Sermon 5.I.5). Adam's Ale has an excellent post on youth ministry. You know what the youth wants don’t you? You know they are board at mass. Right? You know what they want. They want to jazz the whole thing up. They want modern music. Rock and Roll. Maybe visual aids like projected graphics and lighting effects. This is what kids want and if we don’t give it to them, they will vote with their feet. The Holy Father Benedict XVI recalled the example of the Poverello, Saint Francis of Assisi, in his Angelus address today. Love of one’s parents is indeed a sacred commandment, but for it to be lived authentically it cannot be set in opposition to the love of God and Christ. In such a way, in the footsteps of the Lord Jesus, Christians must become "instruments of his peace," according to the celebrated expression of St. Francis of Assisi. This is not an inconsistent and superficial peace but a real one, pursued with courage and tenacity in the daily commitment to defeat evil with good (cf. Romans 12:21), paying in person the price that this carries with it. After the Knights of Columbus banquet last night I stopped at the high school to borrow a soccer ball. A couple of the players have asked me if I would actually practice at practice - doing the drills, etc. - instead of simply standing around, so I thought I would practice a bit on my own first. Let me say that those warm up drills are not as easy as they look! I'll try them again this afternoon and see how I do, though I'm not expecting any real improvement. Who would have thought that passing a ball from one foot to the other and back again would be so difficult! I doubt very much I'll do the ball drills at practice - there's no need to make myself look completely fooish, is there - but I might start running with them. Now's as good a time as any to get in shape, I suppose. Yesterday afternoon I participated in the exemplification of the Fourth Degree of the Order of the Knights of Columbus at Council 665 in Effingham. There were thirty-one of us, including one other cleric, a Franciscan priest who is the chaplain at the hospital. The Holy Mass was celebrated after the exemplifcation (I wasn't present because I had to get ready for the evening Mass at our mission church) and a banquet was held last evening to close off the festivities. We stand, as it were, at the cusp of a great moment in history. The signs of this are all around us: Europe is uniting together in the European Union; Christianity is spreading rapidly in Asia, Africa and Oceania, while it declines in the West; militant Islam is on the rise in the East with aims throughout the world; globalization is on the forefront of most people’s minds; access to information of all kinds is now as close as our fingertips; people are beginning – ever so slowly – to question materialism and individualism which promised such great happiness, yet never produced it. We know that the founder of this Order, Father Michael J. McGivney, lived at a time not all too different from our own, living as he did in a time of great change and upheaval, and a time in which Catholics in this country were greatly persecuted. Through the Knights of Columbus Father McGivney taught Catholic men to band together to defend the faith, to support each other, and to be patriotic citizens of the nation. He called them to rally together to show the beauty and truth of the Faith. Today the Church in America is again under persecution, and growing persecution at that. It is time for Catholic men to again arise, to defend the faith, to support one another, and to be loyal, patriotic citizens of these United States. It is time to overcome the notable absence – in the political sphere, in the world of the media and in the universities – of the voices and initiatives of Catholic leaders with strong personalities and generous dedication, who are coherent in their ethical and religious convictions. It is the responsibility and the duty of the Knights of Columbus to take up this call of the Holy Father. Cardinal Bertone reminds us: “being a Catholic in the world today takes courage; yet it takes no more courage than it did when Jesus calls his first disciples in Galilee.” It is only by being, in the first place, true and faithful Catholics that we will be, in the second place, true and loyal patriots. The Savior’s words today are quite striking. They seem out of place to us, somehow as though Jesus should not be speaking them. 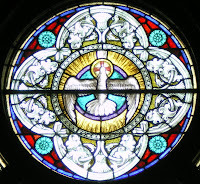 How can the One whom those heralding angels promised would give “peace to those on whom his favor rests” say, “Do you think I have come to establish peace on the earth? No, I tell you, but rather division” (Luke 2:14 and 12:51)? The difficulty for us comes not so much in Jesus’ words and actions, but in how we view him. We are very inclined today to focus on Jesus as a nice guy who accepts everyone and who is a tolerant man. In this view commonly held today Jesus is my friend who accepts me just as I am and does not really call me to any great change. He asks nothing great of me, nothing dramatic; he simply asks me to be his friend. If this is our notion of the King of kings and the Lord of lords then of course Jesus’ words today seem foreign! This is a distorted vision of the Messiah and one that fails to take him, and sin, seriously. It is a Jesus fashioned after our own image which displays too much the societal standards of our own time. It is, of course, true that Jesus calls us friends and receives us with open arms (cf. John 15:15). Yet we must also remember that Jesus commands us to “Repent, for the kingdom of heaven is at hand” (Matthew 4:17). At the same time that he receives us he commands that we change our lives and devote every aspect of our lives to his service, for “No one who sets a hand to the plow and looks to what was left behind is fit for the kingdom of God” (Luke 9:62). Jesus Christ himself is “the way and the truth and the life” and as such he is always calling us to repentance and to conversion, to model our lives ever more closely on his own (John 14:6). Because Christ himself is Truth, whenever we encounter him our sins are laid bare before us. We look upon the depth of his love and we see how we have failed to love him. This is always a painful situation, yet a most necessary one to attain true contrition that leads to salvation. Truth is divisive precisely because it is the truth. Jesus speaks a word of correction, of reprimand, ultimately of love. Love reminds us that God alone must come before all else; only in this way will we ever find peace. When our priorities do not lie with God there is division because the natural ordering of the cosmos is, as it were, thrown out of whack. We need only look at the example of the prophet Jeremiah to see this. Jesus says, “I have come to set the earth on fire, and how I wish it were already blazing” (Luke 12:49)! Why does Jesus speak of fire? Fire is a symbol of the presence of God. Indeed, God himself is “a consuming fire” (Deuteronomy 4:24) and the Holy Spirit came upon the Apostles as tongues of fire (cf. Acts 2:3). Fire is a symbol of God’s judgment on sinners. When the sons of Aaron, Nadab and Abihu, offered profane fire and incense to the Lord, fire “came forth from the Lord’s presence and consumed them (Leviticus 10:2). Jesus himself speaks of the evil weeds that will be tied together for burning (cf. Matthew 13:30). Fire is also a symbol of divine purification. 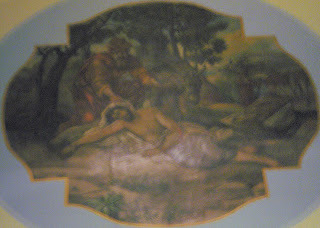 John the Baptist speaks of the One who will baptize “with the Holy Spirit and fire” (Luke 3:16) and Saint Peter speaks of the trials we endure “so that the genuineness of your faith, more precious than gold that is perishable even though tested by fire, may prove to be for praise, glory, and honor at the revelation of Jesus Christ” (I Peter 1:7). The fire that Jesus casts upon the earth does all of these things. The fire of the Holy Spirit that burns within our hearts makes us aware of God’s presence in our lives. This same reality makes us aware of our sins and shows the punishment that is due them. And yet, at the same time, this fire leads us to repentance and purifies us through the grace of God and his sacraments. All this he does because of his love. When the fire of purification is enkindled within us to make us better, we shy away from this fire, too afraid to be hurt by it, too afraid to become more like Christ Jesus. This is not the way of discipleship; this is not the way to win the race we run. We must always remember, that “for the sake of the joy that lay before him [Jesus] endured the cross, despising its shame, and has taken his seat at the right of the throne of God” (Hebrews 12:2). Despite what we think, being purified by the Lord always leads to joy, because it leads to God himself who is our life, our happiness and our peace. Jesus has come so that our “joy might be complete” and our joy can only be complete if we are united with him having nothing else before him, not even our families (John 15:11). If every member of a family followed Jesus Christ unreservedly, then every family would truly be at peace – at lasting peace – because the order of the cosmos would be restored, “for he is our peace” (Ephesians 2:14). Placing Jesus Christ above all else, above family, work, sports, school, play, even above myself, is a great challenge for us beset as we are by our pride. Rarely will we allow ourselves to be humbled by him who humbled himself for us. Rarely will we allow him to set our hearts on fire, to reveal his presence, to show us our sin and to purify us and give us peace. “Consider,” then, “how [Jesus] endured such opposition from sinners, in order that you may not grow weary and lose heart. In your struggle against sin you have not yet resisted to the point of shedding blood” (Hebrews 12:3-4). There is yet more that you can do! Cry out to him: “You are my help and my deliverer; O my God, hold not back” (Psalm 40:18)! Saint Ambrose, Isaac, Or the Soul 8.77 in Arthur A. Just, Jr., ed., Ancient Christian Commentary on the Scriptures: New Testament III: Luke (Downers Grove, Illinois: Intervarsity Press, 2003), 217. Last night I celebrated Mass for the De Colores movement as they commissioned the lay directors for the coming year. When I was invited to be the presiding celebrant for the Mass I was told that they hoped the evening would also a be a time for renewal and asked me to preach more than I usually do. I was, of course, happy to oblige :) What follows is, more or less, what I said last night. As we gather this evening to commission the lay directors of the upcoming weekends and to pause for a bit of renewal for each of us, we might well ask what it means to be a disciple of Jesus Christ. We speak of it often, but what is a disciple? What does a disciple do? First and foremost, a disciple is a student, a learner, but not simply so in the modern sense. For us, a student goes to class, listens to the teacher and learns from him, and then returns home. Not so with a disciple. A disciple stays with his teacher and learns all manner of things from him and become more and more like him. This evening, I want to propose Saint Clare of Assisi to you as a model disciple for our imitation so that we might grow closer to Jesus Christ through her spiritual wisdome. Saint Clare of Assisi maintained deep friendships with a great many people throughout her life, most notably with her spiritual brother, Saint Francis of Assisi. Among those with whom she maintained such a strong and spiritual friendship – although the two likely never did meet – is Blessed Agnes of Prague. Agnes was born in 1203 to the king of Hungary. She was betrothed when she was only three years old, but Boleslaus – whom she was to wed – died soon after their betrothal. The Emperor Frederick II then attempted to secure her hand in marriage, but his advances failed because Agnes found another love. When Agnes was nineteen years old a group of Franciscans came to Prague preaching the Gospel. 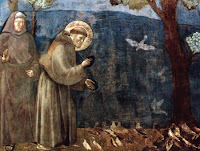 Their words and example must have made a profound impact on the young noblewoman for she soon saw to the construction of a church, a friary, and a hospital, all dedicated to Saint Francis of Assisi. In fact, their preaching left such a strong imprint upon her soul that just two years later, in 1234, Agnes consecrated her life to God and entered a monastery where she then began her correspondence with St. Clare, whose example she so dearly desired to follow. After some fifty-four years as a vowed religious, Agnes died in 1282 and was beatified in 1874. You, more than others, could have enjoyed the magnificence and honor and dignity of the world, and could have been married to the illustrious Caesar with splendor befitting You and His Excellency, [but] You have rejected all these things and have chosen with Your whole heart and soul a life of holy poverty and destitution. Thus You took a spouse of a more noble lineage, Who will keep Your virginity ever unspotted and unsullied, the Lord Jesus Christ. I do not wish to focus today upon Blessed Agnes of Prague or on Saint Clare of Assisi as great and holy virgins or as vowed paupers – although I very easily could; rather, I wish to propose these two holy and dedicated women to you as lovers of the Cross of our Lord Jesus Christ, both of whom we can follow and imitate for they both can say, as did Saint Paul, “Be imitators of me as I am of Christ” (I Corinthians 11:1). Look upon him who became contemptible for you, and follow Him, making yourself contemptible in the world for Him. Your Spouse, though more beautiful than the children of men (Psalm 44:3), became, for your salvation, the lowest of men, despised, struck, scourged untold times throughout His whole body, and then died amid the sufferings of the Cross. O most noble Queen, gaze upon [Him], consider [Him], contemplate [Him], as you desire to imitate [Him]. In these beautiful words, Saint Clare proposes a four-fold way to follow after Christ Jesus: to gaze upon him, to consider him, to contemplate him, and, lastly, to imitate him. We know that the ultimate aim of the Christian life is to imitate the Savior. Saint Clare tells us we will imitate him if we seriously and prayerfully gaze upon him, consider him, and contemplate him. A most fitting way to gaze upon Christ is to gaze, of course, upon a crucifix. For Clare and her sisters the crucifix of choice would certainly have been the crucifix of San Damiano, through which Christ Jesus spoke to Saint Francis of Assisi telling him to rebuild his Church. It is a depiction flooded with imagery and packed with meaning. Gazing upon the body of Christ in this crucifix we see both the sufferings of Christ in the nail marks in his hands and feet, as well as in the blood, which flows out from these wounds. We see also the Centurion, Longinus, holding his lance, which will pierce the side of the Savior from whose side blood and water will flow, symbolizing the Church and the Sacraments, both of which come from the side of Christ himself. We see also Mary and John and the other women standing at the foot of the cross, as it were, gazing upon the crucified body of the one they love so dearly. We place ourselves with them, uniting ourselves with the suffering of the Redeemer. As we look upon the face of Christ, though, we see something that is perhaps unexpected. His face bears no sign of suffering, nor does it bear signs of torment or pain. We do not see the agony of abandonment or the loss of hope. Rather, we see Jesus gazing out quite serenely and lovingly, for he knows that death is not the end; he knows the Resurrection is close at hand. In fact, the face of Jesus on the original crucifix extended out from the main part of the crucifix so as to gaze down upon those who knelt before it in prayer. This is how we gaze upon our Lord: humbly and upon our knees, gazing up at his body, bruised and broken for us, lifted high upon the Cross for the redemption and salvation of the entire world. As we gaze upon his body we then come to the next step to following Jesus: we move from gazing upon him – from simply looking at him from a distance – to considering him upon the Cross. As we consider the cross we come to see the great love of God for his people because we come to ask the question, “Why is this man hanging on the Cross? What did he do to deserve such a harsh and gruesome punishment and execution?” The only answer to this question is that he loved, he loved like no man or woman has ever loved before and he loved like no man or woman will ever love again. The human race - every one of us - is the sheep lost in the desert which no longer knows the way. The Son of God will not let this happen; he cannot abandon humanity in so wretched a condition. He leaps to his feet and abandons the glory of heaven, in order to go in search of the sheep and pursue it, all the way to the Cross. He takes it upon his shoulders and carries our humanity; he carries us all - he is the good shepherd who lays down his life for his sheep. His love led him, the Second Person of the Blessed Trinity, to humble himself and take upon himself our mortal, human nature. His love led him to unite himself fully with us for our salvation. At the same time, we hear the Lord Jesus say to each of us, “If anyone wishes to come after me, he must deny himself and take up his cross daily and follow me” (Luke 9:23). He says, also, “I give you a new commandment: love one another. As I have loved you, so you also should love one another. This is how all will know that you are my disciples, if you have love for one another” (John 13:34-35). After considering the Son of God upon the Cross we come to understand the reason he hangs on the Cross: it is because of love, and the fact that not all people could bring themselves to accept his love. Having understood this we come to begin to experience the deep love that is displayed for us upon the Cross. The fire of his love is kindled within us and we come to contemplate the Crucified Lord. When we contemplate the Crucified Christ, gazing upon his Cross and considering his purpose, we will – if we open ourselves and allow it – be overcome with the power of his love. We will be moved by the great gift that he gives to us, a gift that we do not deserve and a gift that we cannot fully return. Indeed, as we contemplate the moving wounds of the Savior we come to see his beauty, a beauty that cannot be disguised or hidden by the horror of his bloodied body. 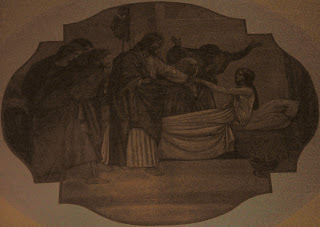 Says St. Clare to Blessed Agnes, “His beauty the sun and moon admire; and of His gifts there is no limit in abundance, preciousness, and magnitude.” For those who see with the eyes of faith, there can be no more beautiful sight than the Crucified Lord, for faith sees the full reality of the gift that is offered on the wood of the Cross. Faith looks beyond the unsightly exterior and sees there the love that created and redeemed all things. When we contemplate the Cross of our Lord we come to realize that we should be hanging on that Cross in his place, for “he was pierced for our offenses, crushed for our sins, upon him was the chastisement that makes us whole, by his stripes we were healed. We had all gone astray like sheep, each following his own way; but the LORD laid upon him the guilt of us all” (Isaiah 54:5-6). Some may suggest that this contemplation of the Cross, of the Crucified Savior, might lead to a sort of depression, that it is a pessimistic behavior that ignores the reality of the Resurrection, but not for Saint Clare and not for Blessed Agnes. By contemplating the pierced side of Christ, we can understand [that] “God is love” (I John 4:8). It is there that this truth can be contemplated. It is from there that our definition of love must begin. In this contemplation the Christian discovers the path along which life and love must move. Then, in the depths of this same mirror, contemplate the ineffable charity which led Him to suffer on the wood of the Cross and die thereon the most shameful kind of death. Therefore, that Mirror, suspended on the wood of the Cross, urged those who passed by to consider, saying: ‘All you who pass by the way, look and see if there is any suffering like My suffering!’ (Lamentations 1:12). The more that we contemplate his pierced side the more we hear the Lord call to us, saying, “Behold, I stand at the door at knock. If anyone hears my voice and opens the door, [then] I will enter his house and dine with him, and he with me” (Revelation 3:20). We will come to realize quite profoundly that the Lord God himself wishes to dwell within us. He wants to live within us who have sinned against him and who he has redeemed by the price of his own blood. He calls us to himself that we might be united with him, for as Saint Clare reminds us, “the heavens with the rest of creation cannot contain their Creator. Only the faithful soul is His dwelling place and [His] throne, and this [is possible] only through the charity which the wicked do not have.” Jesus himself exhorts us, “Remain in me, as I remain in you” (John 15:4). And so, we come to her final admonition: to imitate Christ Jesus. 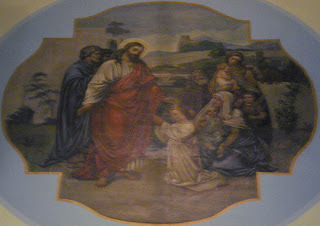 As we contemplate Christ we come to experience his love, we come to experience him and we are given peace, for as Saint Clare said, our contemplation of Christ Jesus “is our refreshment.” It is here at the Cross that we come to realize, as our Holy Father reminds us in his Encyclical Letter, that “being Christian is not the result of an ethical choice or a lofty idea, but the encounter with an event, a person, which gives life a new horizon and a decisive direction.” This new horizon and decisive direction is the imitation of Christ Jesus the Lord. O dearest one, look up to heaven, which calls us on, and take up the Cross and follow Christ Who has gone on before us: for through Him we shall enter into His glory after many and diverse tribulations. Love God from the depths of your heart and Jesus, His Son, Who was crucified for us sinners. Never let the thought of Him leaven your mind but meditate constantly on the mysteries of the Cross and the anguish of His mother as she stood beneath the Cross. Once we have gazed upon the Crucifix, once we have considered why Our Lord hangs on the wood of the tree, once we have contemplated him who “first loved us,” (I John 4:10) we can began to imitate the “Master and Teacher” (John 13:14). Amen. The First Letter to Blessed Agnes of Prague, 5-7. The Second Letter to Blessed Agnes of Prague, 19-20. The Third Letter to Blessed Agnes of Prague, 16. The Fourth Letter to Blessed Agnes of Prague, 9-13. The Fourth Letter to Blessed Agnes of Prague, 14. The Fourth Letter to Blessed Agnes of Prague, 23-25. The Third Letter to Blessed Agnes of Prague, 22. The Fourth Letter to Blessed Agnes of Prague, 11. Letter to Ermentrude of Bruges, 9-12. Yesterday afternoon I finally reached my contact at the Associated Press after waiting for a returned phone call from him for two and a half weeks (I left two voice messages in the meantime). He said he had been trying to get someone closer to the original article to contact me, but nobody would because the AP is "standing by" their story, despite the evidence that the article is false. He apologized for not being able to assist me further - which I understand - and he gave the name and number for the Director of Media Relations. I spoke with him just before soccer practice. He seemed sincere in wanting to understand my difficulty with the story and why I would continue to press on after a month and a half. I explained it very simply to him, citing the article and the documents. He asked me to email him that same succinct explanation and I did so on the soccer bench while the soccer players ran laps around the field. A strange place from which to e-mail, but the e-mail had to be sent quickly. The DMR of the AP responded quickly, saying that he would look further into thisand get back to me shortly. The Crescat has a good post on King Saint Stephen of Hungary. I've always like King Saint Stephen and Queen Saint Elizabeth, maybe because my mother's family came from Hungary (though I know little more about them than that). My sister swallows, it is time now for me to speak because you have said enough already. Listen to the word of God and keep silence until his message is finished. 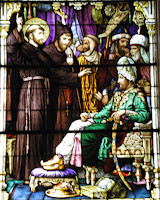 - St. Francis in St. Bonaventure, The Life of St. Francis 12.4. You might recall that last week I set to work at cleaning out the class room in which I will be teaching at our high school. Today I received word that I will no longer be teaching in that class room. The secretary had joked last week that she would move me every year so all of the rooms would get a thorough cleaning; I suppose I should have taken her more seriously! The whole situation is humorously irritating. I spent four or five hours cleaning up that classroom. Oh well. The new teacher in the room will no doubt enjoy my efforts. Tomorrow afternoon before practice, four of the soccer players will help me move my things (books, chairs, posters, etc.) to the new room. Sister Mary Martha weighs in on the Harry Potter series with her usual frank and witty commentary. Yesterday I missed The Crescat's excellent posts on Saint Maximillian Kolbe. 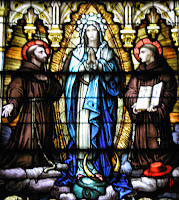 Today she has some great posts up about the Assumption of the Blessed Virgin Mary, including a poem by Saint Anthony of Padua. Be sure to check it out! 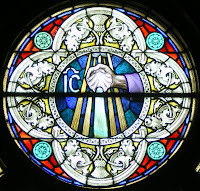 A Catholic Mom in Hawaii has a good post on Saint Maximilian Kolbe, with pictures and links. Sister Mary Martha has good spiritual advice for dealing with the summer's heat (it's only 68 degrees right now! though with a high of 98): offer it up. After soccer practice yesterday that's advice I'm sorry to say I hadn't yet considered. I need to start drinking water like it's DrPepper. The Sisters of Saint Francis of the Martyr Saint George in Alton, Illinois are holding special festivities tomorrow, the Solemnity of the Assumption of the Blessed Virgin Mary. 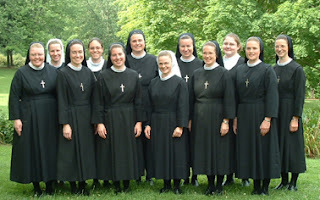 Eight Sisters will make their Final Profession of Vows, two novices will make their First Profession of Vows and two postulants will be received into the Novitiate. Please keep these Sisters in your prayers. They are an excellent community. They have some great pictures here. While I am on the topic, a Sister of the Gospel of Life joined us yesterday morning for Mass, and one of our Diocesan seminarians, as well. Please pray for men and women seeking to answer the Lord's call to the priesthood and religious life. When a servant of God receives a divine visitation in prayer, he should say: ‘Lord, you have sent this consolation from heaven to me an unworthy sinner and I entrust it to your keeping because I feel that I am a robber of your treasure.’ When he returns from his prayer, he should show himself as a poor man and a sinner, as if he had obtained no new grace. – St. Francis in St. Bonaventure, The Life of St. Francis 10.4. I’m beginning now to recover from what was an exhausting weekend. Saturday began with our first annual Bulldog Challenge (the bulldog is our high school mascot). The challenge consisted of a five kilometer walk/run/bike and was very successful. Around one hundred and fifty people came out for the challenge. I hadn’t planned on joining the walk, but only on popping out to send them off. Once there, a good number of parishioners convinced me to join them, so I walked back to the rectory, changed my shoes, and off I walked. It wasn’t too bad, though the weather was exceptionally warm. After the Saturday evening Mass our annual parish picnic commenced. It was held on the grounds of our high school for the first time this year. It worked out much better than at the grade school – where it is usually held – because it was on grass and not blacktop, and thus was both cooler and softer. It was almost much more spread out. We were blessed with fairly good weather Saturday evening; it wasn’t what I would have preferred, but it was comfortable enough. Sunday was another story altogether. In the middle of my homily at the early Mass – very close to 7:45 a.m. - the power went out, not only to the church but to the rectory, parish center, grade school and high school as well. In total, some four thousand people were without power and our picnic was to begin at Noon. I paused for a few seconds waiting for the power to come back on, thinking it would only be momentary. It wasn’t. So off I preached, shouting the homily as best I could. Power was not yet restored at the end of Mass and it was getting quite toasty inside. I then began to get rather concerned for the state of our picnic. After being informed that our excellent workers in the grade school basement were making noodles in the dark, our deacon told me they thought they put the right amount of pepper in, but couldn’t quite be sure; salt and pepper look very alike in the dark! He also said they were mashing potatoes by flashlight! I wish I could have been there. Just before our second Mass at 9:15 we received word that “they” were going to try to reroute power from a city twenty minutes north of us and if it worked, we should have power just after 9:00. If not, we wouldn’t have power until 2:00! Thanks be to God the rerouting worked. As all of this was taking place, local businesses were calling us offering the use of their facilities and parishioners began hauling in their own generators. It was great to see the people pulling together in such strange circumstances. With the power outage I lost the homily I preached Saturday night because I forgot to save it, which explains why it hasn't yet been posted. I know. Sunday morning I preached a very different homily due to a high profile occurrence of underage drinking Saturday night. I am told it was the best homily I have preached. It has, of course, generated much discussion in the community. I reminded all parents that they have a serious obligation which they accepted at the baptism of their child to do all in their power to help their child attain salvation. I don’t remember exactly what I said but I know I said that the thief had not broken into the house but was let in through the front door. And more, parents hadn’t kept their children’s hearts "free from the poison of sin" but gave them the very cup of sin from which to drink. I tried to remind everyone about the serious moral implications of such activities. The parish picnic resumed Sunday at 11:00 and I returned to the grounds, spending most of the day in the “bank” where it was air conditioned. I wandered around the picnic about once every hour or so to see everyone. We were very concerned about the picnic in the afternoon. It was so hot that very few people came out. Thankfully, it cooled down slightly in the evening and a large crowd turned out about sunset. After drawing the raffles at 11:00 I returned home and finally got to bed about 12:30. I bought two tickets for Pope Benedict XVI (I wanted to give him a new grill), but, sadly, I wasn't able to draw his name. I'll post pictures from the weekend sometime tomorrow. It was, all in all, an exhausting weekend, but a very good one. I haven’t heard a final report yet, but – considering it was 104 degree most of the picnic, we did extremely well. Soccer practice began today at 3:00. It was only ninety-four degrees today... It went well, I think, but I do hope the temperature goes down soon. In virtue he surpassed the rest. He could the torturer deride. Receiving grace for which we prayed. For ever in the Father's home! By granting an eternal crown. 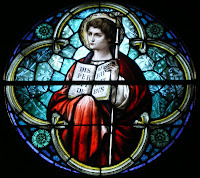 A Catholic Mom in Hawaii has a brief story of Saint Lawrence's life. Me Monk Me Meander has a homily for the day. The Crescat posts from today's Office, Lawrence's patronage and some great pictures. Fr. Zuhlsdorf posts a bit of Saint Ambrose on Saint Lawrence. If you wish to be converted to Christ along with your people, I will most gladly stay with you for love of him. But if you hesitate to abandon the law of Mahomet for the faith of Christ, then command that an enormous fire be lit and I will walk into the fire along with your priests so that you will recognize which faith deserves to be held as the holier and more certain. If you wish to promise that if I come out of the fire unharmed, you and your people will come over to the worship of Christ, then I will enter the fire along. And if I shall be burned, you must attribute it to my sins. But if God’s power protects me, you will acknowledge Christ the power and wisdom of God as true God and the Savior of all (I Cor. 1:24; John 17:3, 4:42). –St. 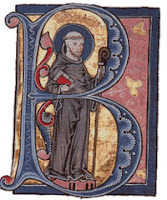 Francis in St. Bonaventure, The Life of St. Francis 9.8. Yesterday my copy of Pope Benedict XVI's The Apostles: The Origin of the Church and Their Co-workers arrived. If you don't have it yet be sure to pick it up! Be sure to grab Amy's study guide, too. I found myself in Rome in October of 1998 for the ordination to the diaconate of a man from my home parish. Together with about fifteen parishioners I spent ten days in Rome for the blessed occassion. One of the highlights that will forever remain with me was being present at the canonization Mass of Teresa Benedicta of the Cross in Saint Peter's Square on the 11th of that month. I knew nothing of this philospher and nun prior to the Mass, though afterwards I began to read more about her. The more about her I read the more I like her. I think you will, too. The darker it gets around us, the more we must open our hearts to the light from above. By assuming human nature, Christ became capable of suffering and dying. His divine nature, which He has had from eternity, gave infinite value and a redeeming power to His suffering and death. Christ's suffering and death continues in His mystical Body and in each one of His members. Everyone has to suffer and die. And if he is a living member of the Body of Christ, then his death and suffering acquires a redemptive power through the divine nature of the Head. More quotes are at the post I did last year on her feastday. A Catholic Mom in Hawaii has a nice set of photographs of young Edith Stein. Know, brothers, that poverty is the special way to salvation, as the stimulus of humility and the root of perfection, whose fruit is manifold but hidden. This is the Gospel’s treasure hidden in a field; to buy this we should sell everything, and in comparison to this we should spurn everything we cannot sell. – St. Francis in Bonaventure, The Life of St. Francis 7.1. This weekend marks our annual parish picnic and the preparations for the festivities are well underway. Yesterday afternoon our athletic director asked me to be the assistant soccer coach this year. He said my duties would be minimal, which is good since I know very little about soccer. He also said that I could come to practices when I wanted, knowing that the games are already on my calendar (barring anything more urgent coming along). He tried to tell me the perks of the position (sitting on the bench with the team, traveling with the team, etc.) and I reminded him that I did all of that last year. He said this was all the more reason to take the post. I told him I would think about it and he then began introducing me as the assistant coach (he's a bit of trouble maker, but a lot of fun). Two of the senior players, one junior player and two freshmen players seem to think it's a good idea, as do the parents. The jury's still out on this one, but I expect I will accept. Yesterday afternoon we held our Freshmen Orientation at the high school. Some fifty freshmen attended providing for a good glimpse of the class as a whole. I can safely say that they will be quite enjoyable, even downright mischevious, which is always welcome. Prior to their arrival, I cleaned out the closet and cabinets in my classroom. It is really quite unbelievable what you can find in one classroom used by a Spanish teacher and a religion teacher: a playdoh model of a plant cell, various ecological posters, American history maps, music appreciation tapes and CDs, CDs of the human anatomy, a music staff thingy for the chalkboard (that's the technical term) and not one, but two, track starter blocks. I happily dropped the random items into the departments where they can best be used and now my classroom is quite empty. It's a good feeling. After the freshmen orientation there was a party for the students, their parents and those who helped with the orientation at one of the parents' lakehouse. A good time was had by all. The Prodigal Son has tagged me for the Eight Good or Bad Habits meme. 1. As I walk down the sidewalk I very often think out loud, resulting in strange looks from people who pass me by (I even once asked myself a question and answered it). 2. I cannot enter a bookstore without browsing the theology and history sections, looking always for books on St. Francis of Assisi, Pope Benedict XVI and King Arthur. 3. Driving down the road I'm very easily distracted by signs that make little or no sense. 4. I have the unfortunate habit of picking up objects on tables (silverware, pens, pencils, salt shakers, napkin rings, etc.) and drumming out little melodies with them on the table without my really being aware of it. 5. I've ruined many a good paper clip by unbending them too much. 6. If I sign my name with a pen that is not a Pilot Precise rolling ball, fine ink, it doesn't look right. 7. In conversations I can break off on tangents for days on end. I do this while teaching class, too. 8. I will notice a crooked picture frame before I notice a corn field where once there was simply grass (this happened at home). You might have heard that His Excellency, the Most Reverend Donald E. Pelotte suffered serious injuries last week (please keep Bishop Pelotte in your prayers). The Bishop of Gallup says the injuries resulted from a fall down the stairs in his home. Many are questioning how such injuries could result from falling down carpeted stairs, despite his insistence of a fall. Nevertheless, the police have accepted what Bishop Pelotte says and are not investigating the incident further. The Gallup Independent is unhappy with this turn of events, going so far as to rebuke the police department. Why? Because of concern for the Bishop's safety? Sadly, not really. The editor is upset because "Catholic officials ignored reports of child sexual abuse within the Gallup Diocese in the past." The Independent believes the Bishop is lying to the police and to everyone else (though how the two situations go together is beyond me). But the Diocese of Gallup is not simply telling lies, according to the Independent, but "false truths" as well. If the Diocese is providing false truths, this is indeed something of which we ought to be concerned. But, then again, what exactly is a false truth? 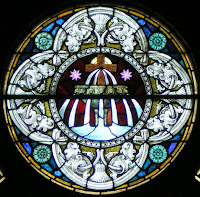 Thursday afternoon as the lights were being changed in the church I climbed aboard the lift to take pictures of the roundels of the stained glass windows. I'm not sure I'll climb back into it again. 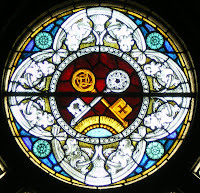 The roundels are beautiful depictions of the Sacraments and it is a shame that so few people ever pay them any attention.